This font is a derivative of Ray Larabie's Mesmerize. 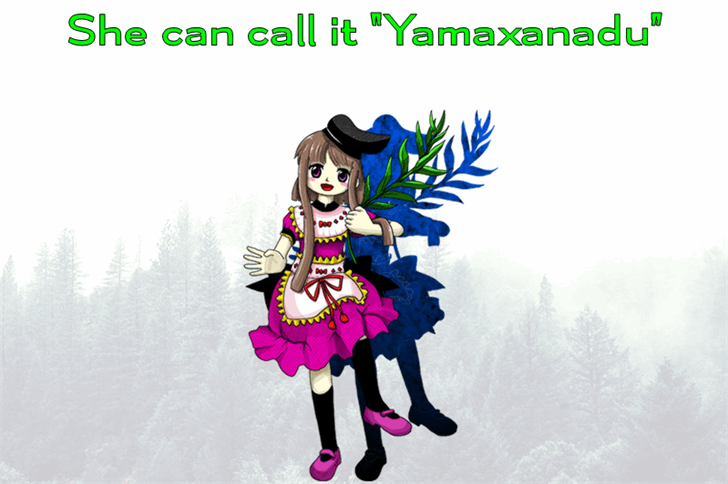 It was named after Sikieiki Yamaxanadu from Touhou Series. Copyright (c) 2018, Heaven Castro Studios.